Freshwaters are vulnerable to a wide range of stressors including climate change, eutrophication, acidification, invasion of non-native species and land use change, such as deforestation. 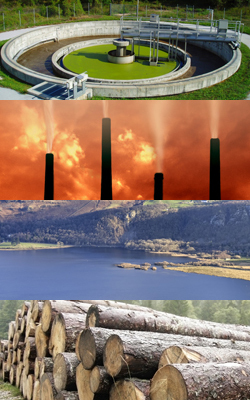 At the same time they provide essential provisioning, regulating, cultural and supporting ecosystem services including water supply, flood control, recreation and a major, but under-recognised, role in the global carbon cycle. Because of their importance to society, most lakes are subject to numerous legally-binding national and European directives that set stringent targets for water quality and biodiversity. Meeting these targets requires a detailed understanding of lake processes which in turn requires measurements at an appropriate temporal scale. Traditional monitoring of, at best, weekly or fortnightly intervals is sufficient to record seasonal change but cannot resolve the processes driving many aspects of lake function. This is because lake properties can be completely altered by short-term, meteorologically-driven physical disturbance such as a strong wind event that causes destratification in summer, and because the organisms that control lake function are often microbial with division times of the order of days. The UKLEON project will develop a national demonstration network of automatic lake monitoring stations that will exploit state-of-the-art sensor technology and provide linked, concurrent, high-temporal resolution data at a globally-unique density. The scientific and operational advantage of data at this unprecedented spatial and temporal scale will be illustrated in three science demonstration topics. The three-year project, funded by the NERC Sensor Network Programme, is led by the Centre for Ecology & Hydrology (CEH) and involves a large range of partner organisations. Freshwaters are vulnerable to a wide range of stressors including climate change, eutrophication, acidification, invasion of non-native species and land use change, such as deforestation. do not allow the full value of the data to be realised or widely disseminated. The United Kingdom Lake Ecological Observatory Network (UKLEON) project will address these limitations by exploiting new, more stable sensor technology, using mechanical devices to minimise biofouling, in a network covering a range of lakes to produce high-quality data. The primary technological objective is to establish the UK’s first coordinated, high-intensity lake monitoring network. An information system will receive, process, quality control and disseminate limnological data delivered by an integrated instrumented network of automatic lake monitoring stations deploying state-of-the-art, self-cleaning sensors at 11 lakes across the UK. providing data on the internet in a format that allows the results to be easily visualised and used, both by the academic community and for scientific outreach. a Trophic state: O, oligotrophic; M, mesotrophic; E, eutrophic. Near real-time data from UKLEON lakes is viewable on the ECN website, featuring a range of variables including temperature, wind direction, solar radiation and chlorphyll a concentration. Most of the sensitive underwater sensors have mechanical or chemical cleaning systems to minimise the effect of biofouling. OTT Hydrometry Ltd and Lakeland Instrumentation are heavily involved in the technological aspects of the project. 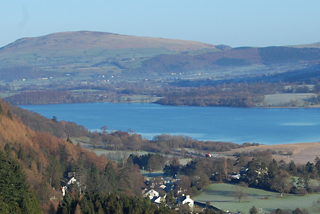 Aberystwyth University, Agri-Food and Biosciences Institute and the Countryside Council for Wales operate some of the lake monitoring stations. Department of Agriculture and Rural Development (Northern Ireland), Dundalk Institute of Technology, Environment Agency, Lake District National Park Authority, the Marine Institute, Natural England, Northern Ireland Environment Agency, Scottish Natural Heritage and Snowdonia National Park are partners on the project.